Having the opportunity to play a sport at the collegiate level while obtaining a quality education was what set alumni Brian Greene’s sights on Castleton University. Serving as both a member of the Men’s Ice Hockey team and Athletic Training major, Greene credits the University with preparing him for a successful career post-graduation. Now pursing a post-professional M.S. 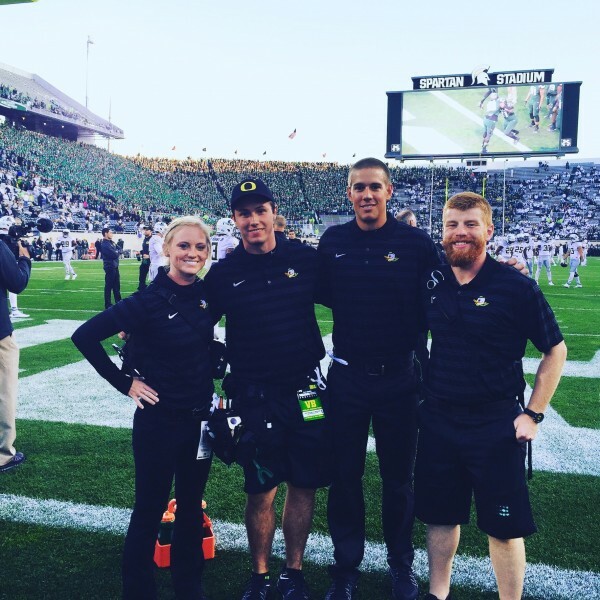 in Human Physiology with a concentration in Athletic Training at the University of Oregon, Greene appreciates the close-knit community feel that Castleton offered, combined with the countless opportunities for clinical experience in the field, even in his early years.